The 2017 Light The Night walk, hosted by The Leukemia and Lymphoma Society (LLS), will take place Saturday, Oct. 28, at the Booth Ampitheatre in Cary, North Carolina. According to LLS, approximately every three minutes one person in the U.S. is diagnosed with a blood cancer. An estimated combined total of 172,910 people in the U.S. are expected to be diagnosed with leukemia, lymphoma or myeloma in 2017. New cases of leukemia, lymphoma and myeloma are expected to account for 10.2 percent of the estimated 1,688,780 new cancer cases diagnosed this year in the United States. For a second year Duke Cancer Institute is teaming up to sponsor a Glam Station featuring spa-inspired activities hosted by Duke Cancer Institute's Patient Support Program. Highlights including complimentary makeup and salon services, scarf tying, wig fitting and more. The Glam Station will also offer face painting for kids. 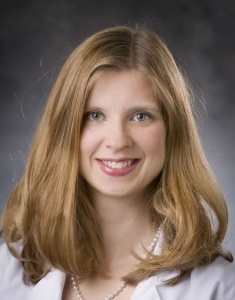 The Duke Cancer Institute fundraising team is being led by cell therapy and hematologic malignancies specialist Danielle Brander, MD. More than 5,000 people step out each year for the Triangle Light The Night Walk. Funds raised through Leukemia and Lymphoma events support vital programs and services for local patient battling blood cancers and also aid local research to find better treatments and cures. The Leukemia and Lymphoma Society currently funds more than $1 million in research grants at Duke. To register or join the DCI team, visit Team Duke Cancer Institute.